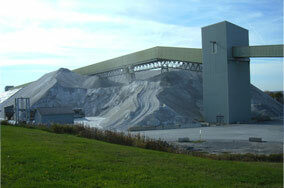 American Salt Company's salt pile in Hampton Corners, just south of Rochester, N.Y. Faithful Stop the Cap! reader Lance dropped us a note this afternoon alerting us that Syracuse is the latest Time Warner Cable city getting the benefits of increased speed from Time Warner Cable’s DOCSIS 3 Wideband upgrade. While those in the Salt City can now sign up for 50Mbps broadband service, Time Warner Cable tells residents of the Flower City to go pound salt — there are no upgrades for you! Buffalo has been Wideband ready since early this month, and New York City launched service last year. While those DOCSIS 3.0 products — called Wideband and Road Runner Extreme — are being made available in Buffalo and Syracuse, the company “has just begun its national launch of this product across its entire footprint, but with no additional locations determined at this time,” said spokesman Jeff Unaitis. The company, however, does plan to roll out a wireless broadband product for the Rochester market before the end of 2010, he said. (*) - As long as you don't live in Rochester, N.Y.
That’s the nice way of saying Rochester isn’t getting the speed increases because there is no competitive reason to provide it. With Rochester left off the upgrade list, and no real incentive to run to Frontier (which can’t beat Road Runner’s existing speeds), this community falls behind the rest of the state in broadband speed. To think last April Time Warner Cable was promising dramatically upgraded service, if the community agreed to accept their Internet Overcharging usage-based billing scheme. Apparently no other upstate city was required to commit to ripoff pricing, and speed upgrades came anyway. The fact Rochester is bypassed this year proves our contention their pricing experiment came to Rochester only because they faced no real competitive threat from Frontier then, and they still do not today. Road Runner Mobile 4G National Elite gives unlimited access to both Time Warner Cable’s 4G Mobile Network and a national 3G network (Sprint, presumably), for use when traveling. o $79.95 per month for Road Runner Standard or Turbo customers. Road Runner Mobile 4G Elite gives customers unlimited access to the Time Warner Cable 4G Mobile Network. o $49.95 per month for Road Runner Standard or Turbo customers. Road Runner Mobile 4G Choice gives light users 2GB of service on the Time Warner Cable 4G network each month. o Available for $39.95 per month to customers of at least one other Time Warner Cable service. Additional $5 off if you have a bundled service package. 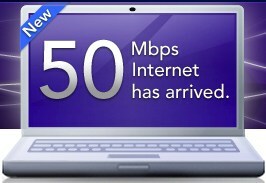 50/5Mbps: $99 per month, but ask about promotional pricing, which may be available. In Syracuse, Road Runner speed now matches Verizon FiOS on the downstream side, although Verizon can deliver better upload speed at 20Mbps. Formerly, Road Runner maxed out at 15Mbps in central New York. About 30 percent of the central New York division of Time Warner Cable is now Wideband-ready, including the entire city of Syracuse. By October, the company expects to have the faster service available in 70 percent of the central New York area. The only thing that I can think of why Rochester is not getting these speeds is that we are being punished for pushing back on TWC for their Internet Overcharging Scheme. Rochester is in the top 20 economies of the ENTIRE country with Syracuse and Buffalo. Rochester is the 3rd largest city in the state behind NYC and Buffalo with the second highest economy of the state. All this says that there are enough people, and cash in the area for faster speeds. At this point in time, I would settle for the 2Mb upload speed that Turbo should be giving us instead of the 1 that everyone currently enjoys. The upload speeds are to slow for my business. I need fast upload speeds. I can just imagine what other businesses face. They are stifling the growth of this area by limiting broadband. An example of how capitalism can stifle growth 🙁 . Or maybe a poor business choice for them. If Verizon does ever come they are going to have no customers anymore for being treated like dirt.